Welcome...To the Tokyo Marui Hi Capa store. 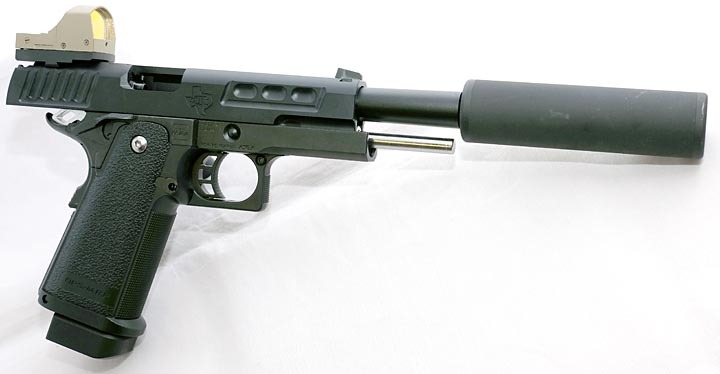 We try to stock anything that you will need for this great pistol, we stock and sell parts and upgrade parts for the Tokyo Marui Hi Capa's. 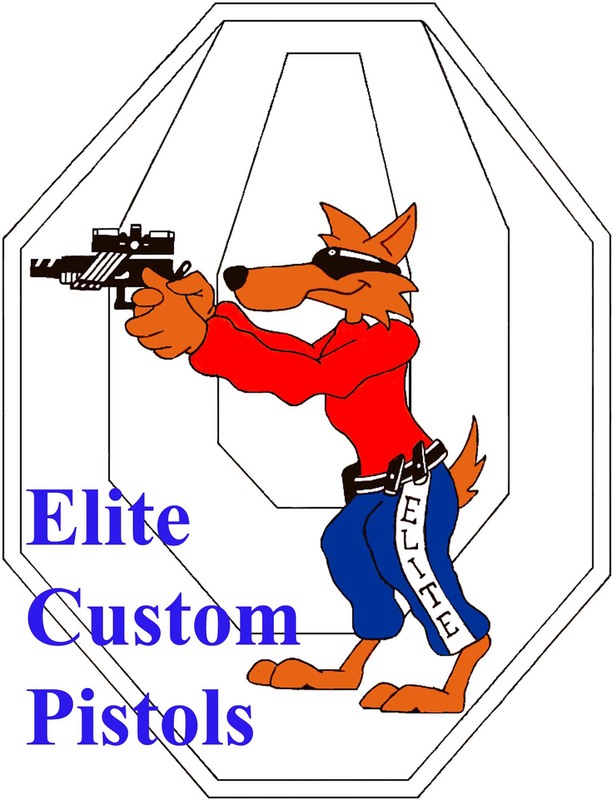 We also specialise in practical pistol shooting (AIPSC and IPSC). This site is updated almost daily so there is always something new. 16 Bellrope Meadow, Sampford Road, Thaxted Essex, CM6 2FE Visitors by appointment only. Tel 07816 992417 Email, mikecripps50@aol.com Please tell me if you are not in the UK. 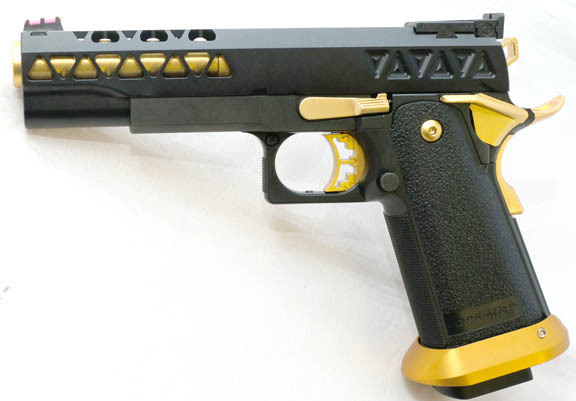 All Elite Custom pistols are based upon TM Hi Capa 5.1. 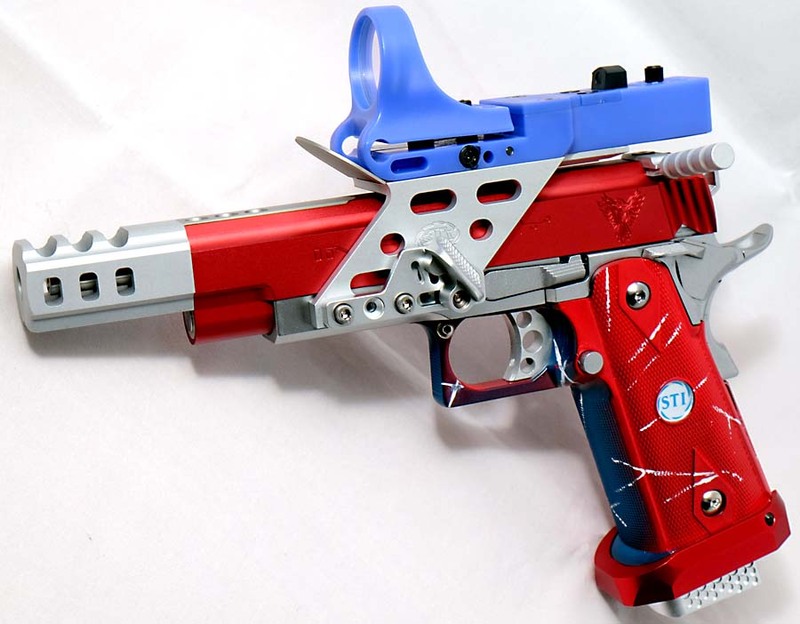 All are hand built by Mike Cripps, using the TM donor gun plus parts and accessories from the best manufactures of aftermarket parts that are available, Airsoft Masterpiece, Prohandgun, Nova, Shooters Design, Airsoft Surgeon, AIP, PDI, Nine Ball etc. 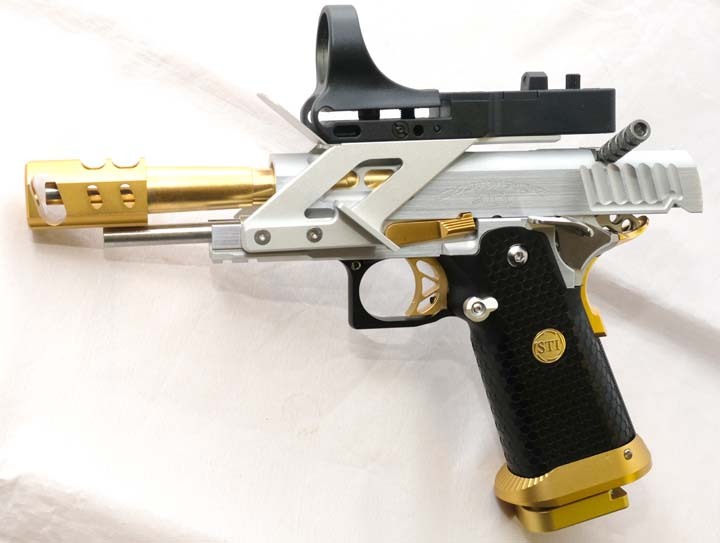 The pistols shown are just a sample of what I can build for you. If its not shown on the slide page, I do not have it and cannot give a delivery date, the Hong Kong factories are out of stock. There is no date for any of the Limcat slides,Rio, Speed, Nano or Hive versions? For UK customers only. All the guns shown on this website are airsoft replica imitation firearms (RIF's) and subject to the VCR Act 2006, and purchaser's must be 18 or over, and either have UKARA registration, or another allowed defence. Spares and upgrade parts are not affected.